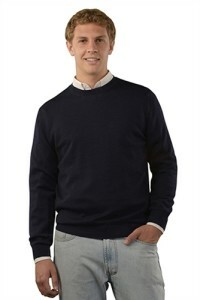 We have some brand new alpaca sweaters in stock for men and women. The new sweaters are all 100% baby alpaca in a lightweight jersey knit fabric. 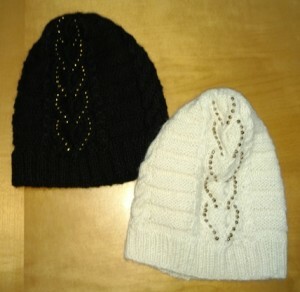 They come in a variety of sizes and colors. You can see all of our alpaca sweaters online or in the store. We offer Free Shipping for all our sweaters (and all orders over $100). We ship online or phone orders daily by USPS Priority Mail. If you are ordering for Christmas, please place your order by 9 a.m. on December 21 to ensure arrival by December 24. We have added two new styles of baby alpaca blankets to our selection, bringing our total number of alpaca blankets available to over 20 different colors and styles. 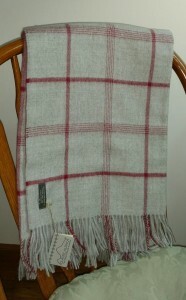 You can order any of our alpaca blankets from our online store or come by the farm to see them. 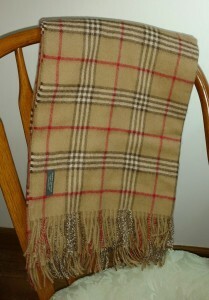 These beautiful alpaca sofa throws measure approximately 50 inches wide by 72 inches long. Free Shipping for all our blankets. We ship online or phone orders daily by USPS Priority Mail. Alpaca blankets have been our most popular gift item this year (well, blankets and alpaca socks), but we have other great alpaca gifts perfect for everyone on your list. You can see some of our favorites here. 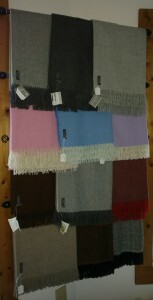 A few of our other baby alpaca blankets. 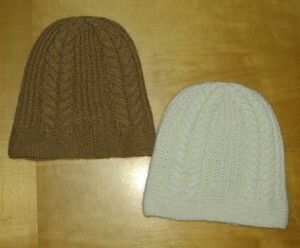 We have added a great selection of new alpaca hats to our inventory, as well as some new colors to our most popular alpaca hats. 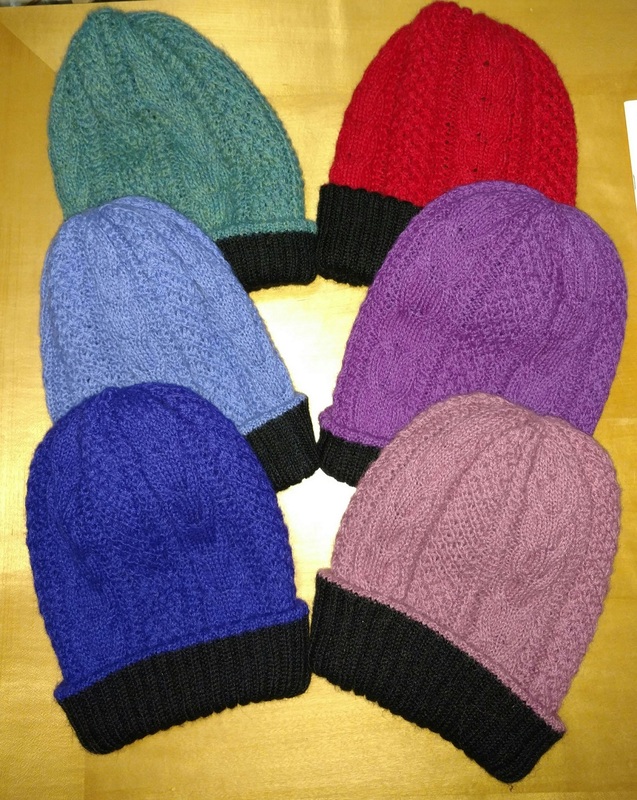 Our always popular reversible cable knit alpaca hats are now available in 6 bright colors as well as the great selection of natural colors. You can see the complete selection in the farm store as well as in our online store. 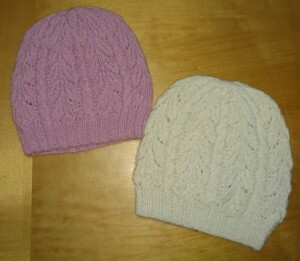 These hand knit, 100% baby alpaca hats have two layers of softness and warmth, and can be worn on either the brightly colored side or the black side. 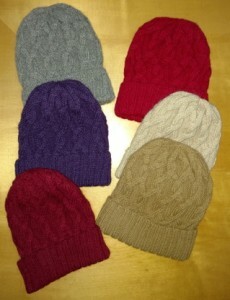 We have also added a number of single layer knit alpaca hats made from 100% superfine alpaca. They come in a variety of colors and patterns. Click on the picture to learn more about each hat. Order by 9am, December 21 to receive by December 24th, and remember we always offer free shipping on orders over $100. See our previous post for other Christmas gift giving ideas.